Among the local artists were Ronnie Wood of the Rolling Stones, Page Hamilton of Helmet, Bruce Kulick of KISS, Vernon Reid of Living Colour and Vinnie Vincent. Creating and producing guitars for these artists was there effective way of becoming more popular with bands from other countries. At the same time, ESP Company also started to make the necks and bodies of Kramer. 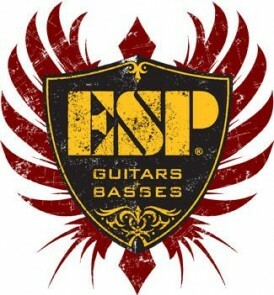 During a tour in Tokyo in the year 1986, George Lynch found out about ESP guitars when he walked into one of the shops, looked around for a replacement part and later, he found out that ESP Company is able to customize guitars. Lynch asked the company to create his favorite ESP Kamikaze. After one year, Kirk Hammett of Metallica, found ESP Company too. 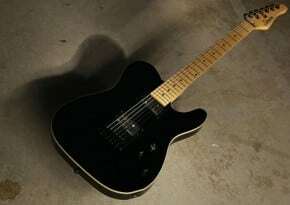 Hammett asked ESP to make him ESP KH-2 model which later became one of the signature series in 1989. ESP Company, in 2002, became top ranked because of its very competitive marketing strategy.. The Deluxe Series is a line of electric guitars. 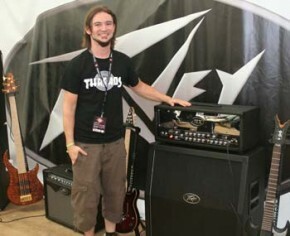 There were a lot of famous guitar players for this particular model such as Erik Payne of Andrew W.K., Glen Drover of Megadeth, Snake of Skinlab, Brian Eschbach of The Black Dahlia Murder, Kenny Dunham of Brand New Sin, Bob Carpenter of A Life Once Lost, Jason Hook of Hilary Duff, Jensen of The Haunted, Jason Bozzi of Dry Kill Logic, Jeff Kendrick of DevilDriver, Ben Weinman of The Dillinger Escape Plan, and Jamin Hunt of Sworn Enemy. The Deluxe Series has guitar models that originated from the famous product line of ESP such as M guitars, MH, Horizon and Eclipse. With only four guitar models during the year 2003 and when Deluxe reached 2004, they began to make a lot of variations from these models. These are more affordable compared to the ESP guitars. Materials are of cheaper quality but the designs are magnificent providing satisfaction to its customers. These series of guitar models meant for rock/metal music can be considered very good investments. i am a fan of Esp Deluxe Series especially viper-1000 is a perfect guitar i think. I love ESP i wish i could afford one , not a big fan of emg pickups series necks or the LTD logo not really worth 1000 dollars but most of the earlyier ones and todays higher end ltd ESP made in Japan again are priceless, fell in love with the sound and fret action when i first picked one up in the early 90’s and dreamed of having one ever since, at the time i felt it made my strat feel puny in comparison.